I’ve been doing a lot of Netflix binge watching lately. When I checked in the other day, it told me that based on my recent viewing history, it recommended Spongebob Squarepants. After I got over that embarrassment, it got me thinking that leaving behind a viewing history may not be such a good idea for privacy reasons. Plus, once you start watching something, it leaves the TV series or movie pinned to the top of the screen until you’ve finished watching it. This can be good because it provides convenience. But on the other hand, what if you’ve decided the show or movie is really bad? It is therefore going to sit there for time immemorial unless you delete it from your viewing history. Deleting your Netflix viewing history is very easy. Please note though that you can only delete things individually. There is no batch delete. So if you’ve had your account for years, deleting everything is going to be very time consuming and tedious. When you have logged into your account, look at the top right hand corner of the screen. Drop down the avatar logo and choose “Account” at the bottom. That will take you here. Now you are in the account settings. Scroll right down to the very bottom until you are in the “My Profile” section. Click on “Viewing activity“. This then takes you into the list of what you’ve watched. There are two screens. What you’ve watched and what you’ve rated. I probably got my Spongebob Squarepants recommendation from something I rated (probably He-Man), so I can delete stuff in the “Rating” section (by clicking the X next to the show), or by changing the thumb rating. 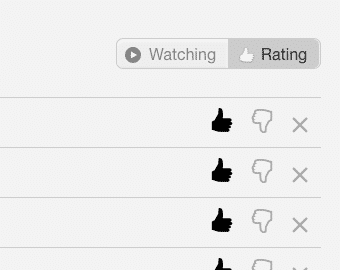 This would hopefully clear up any misconceptions about what Netflix thinks I like to watch. To delete a particular show, movie, or show episode, click on the “Watching” tab and a never-ending scrolling list will appear. To remove something, click on the X to the right of the show or movie. The shows are all split up into their individual episodes, but removing one will give you the option to remove the entire series, as you can see below. If the show or movie was pinned to the top of the page because you hadn’t finished watching it yet, taking it off this list will remove it from the top of the page. It says in the screenshot above that it would be removed within 24 hours, but for me, it has always been removed immediately. 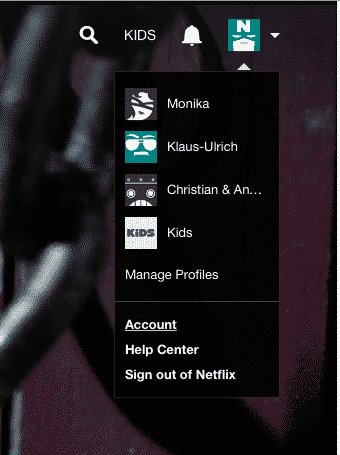 Some of you may not care that everything you watch is sitting in your Netflix account settings. If so, fair enough. But if you have an unfinished show that you want rid off your screen, or a show you don’t want your child to see, maybe wiping it would be a good idea.